Niels van Gogh from Augsburg, 27 years of age and DJ by profession, has been already working at the turntables of innumerable clubs and events such as the Love Parade, Rave on Snow, the Nature One Festival and the Energy Rave in Switzerland. Niels van Gogh was also one of the headliners on the Tour in South Africa, which took place in August 1999 and stopped at Sun City and Johannesburg, too. 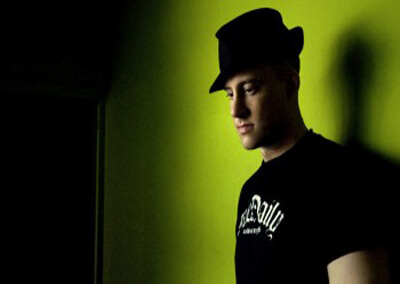 Accompanied by his two DJ colleagues, Phil Fuldner and Moguai, Niels played several big raves in the metropolises at the Cape, where he is reputed as a pop star ever since he landed his smash hit “Pulverturm”. “Pulverturm” was the first release by the DJ and producer Niels van Gogh on Kosmo Records. It is a smashing Club-tune of premium quality produced by Electronic Maniac Eniac who operates the controls for Tomcraft’s productions as well. “Pulverturm” gives evidence of his predilection for pulsating sounds and baselines that have a hypnotic drive, combined with an unforgetable vocal sample that will ring in your ears for the rest of your life..
“Pulverturm” went straight to the top of the Dance Charts (a cross-section of the DDC, DMC and DJ Top 40), represented the highest new entry in the Media Control Single Top 100 (the official German Billboard Charts) at 20 and consolidated its position there. In the meantime “Pulverturm” has become the bestselling vinyl single of the year 1998, reached gold status in Belgium and South Africa and was placed among the Top 20 of the French and Dutch Billboard Charts. In England, “Pulverturm” climbed to position number 5 in the Dance Charts and entered the Billboard Charts, too. Therefore, having sold over 20.000 vinyl records, Niels was awarded the “Discomaniac” which he gladly accepted during 2000 at the German Dance Awards. His productions “Doppelgänger” and “Another Joy” succeeded likewise in entering the German Media Control Charts Top 100. In Belgium “Doppelgänger” ranked among the Top 20 in the Billboard Charts. In Fall 2004 Media Records released the second single “Don´t Be Afraid Of Tomorrow”. This Track rocked the DDC Charts even more by climbing up to position #3. Appearances in TV (VIVA Club Rotation), radio-stations (e.g. Sunshine Live) and numerous bookings were the pleasant result. After intensive work on his new productions, now his first album called “No Way Out” is going to hit the stores, which will thrill not only his fans! Also on the new album: The meanwhile worldwide classic bomb “Pulverturm”, which represents the link between present and past. A new Niels van Gogh is born: ripe, modern, stylish – however unmistakably in his elementary arrangements. Ingenious productions, framed into a perfect Intro and Outro, spoil the ears and inspire your senses. Danceable tracks meet chilly grooves, touched by melodic elements – a breathtaking experience in contemporary electronic music.